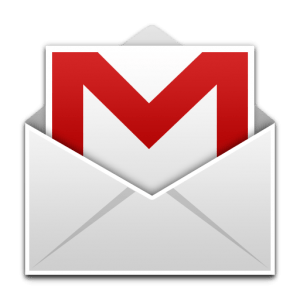 Google happily announced on its blog today that @googlemail.com will now become @gmail.com in Germany. This marks the first time in several years that @gmail.com will be the default option for German users. Google had switched to @googlemail.com following a trademark dispute with businessman Daniel Girsch. Girsch was the owner of a German "electronic postal delivery" service named "G-mail", a company name which was short for "Girsch mail". In 2005, when Google rolled out its Gmail service across Europe, both the United Kingdom and Germany quickly disputed its use based on trademark infringements. Faced with the proposition of having to pull Gmail from those countries, Google decided to re-label its service from Gmail to "Google Mail" and offered U.K. and German citizens @googlemail.com addresses instead. Eventually, Google settled with U.K. opposition but in 2007, Germans cemented their decision, preventing the company from operating in the country under its Gmail label. Although the nature of the settlement is unknown, Google now appears to own both gmail.de and the German G-mail trademark, making it legal for the company to offer @gmail.com by default. Existing users with @googlemail.com addresses will be able to transition to @gmail.com if they so desire. For users who do convert, their @googlemail.com email address will continue to remain active as an alias. This means if someone sends that user an email to their old @googlemail.com address, it will still arrive in their @gmail.com inbox. Additionally, users can even change back to @googlemail.com if they wish. More details regarding the transition can be found on Google's Change to Gmail from Google Mail FAQ.